Second time at Musikkskolen, this time with digital equipment with a lot more head room for mixing. Good or bad? You’ll have to decide for your self. Not as raw sounding as the self titled CDR release recorded a year earlier, but with harcore tracks like ‘Antikrist’ and ‘Nebbb In Black’ that kinda takes care of itself. This release also features som brass overdubs done at Studio KinkyGris and also what appears to be an attempt on a hit single, ‘AfroSpace’. If you want this on cassette with a nice cover and all, e-mail Thomas at – gunerius.quack[at]gmail.com. 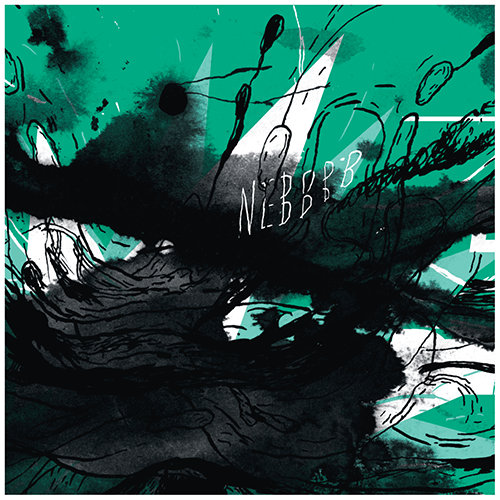 Written and performed by Nebbb, produced by Thomas Bergsten. The release comes with another fine artwork courtesy of the talented Christopher Owe.